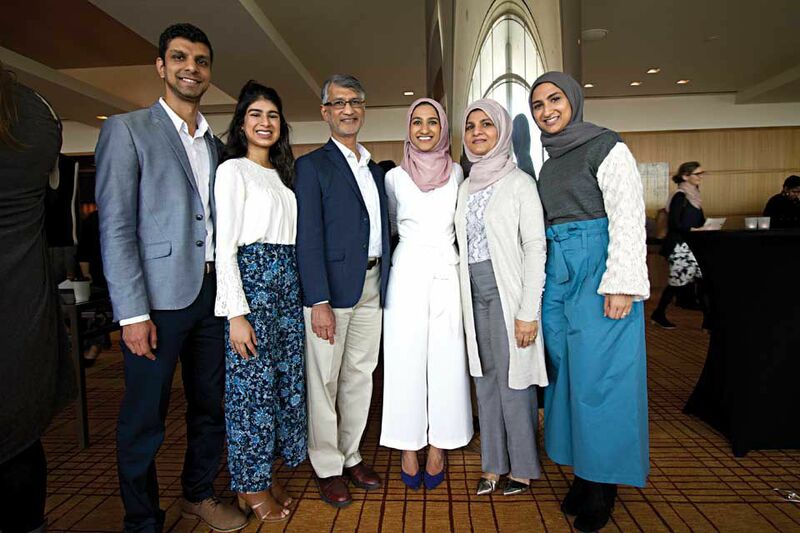 For American medical students, a life-directing move comes down to one freshly sealed, white envelope handed to them on “Match Day.” March 15 was that magical day for this year’s local fourth-year medical school graduates. During this annual event, graduating medical students across the country discover which specialties, hospitals or care centers they’ve been “matched to” for post-graduate residency training. Weeks before Match Day, students submit their preferred residency programs to the National Resident Matching Program, after which a complex algorithm makes assignments based on input from both training location staffs and individual students. Washington University and Saint Louis University schools of medicine combined had 294 students in the 2019 Match Day. This year, the National Resident Matching Program recorded the largest match in the organization’s history since 1952, with 38,376 applicants registered and 35,185 positions offered. Jamie Sutherell M.D., M.Ed., associate dean of student affairs at Saint Louis University School of Medicine and associate professor of pediatrics in the cardiology division, said Match Day is critically important for students. “It’s the culmination of their hard work through medical school, and it’s career-shaping because these are the programs that will be on students’ CVs for the rest of their professional lives,” he said. By entering the Match, Sutherell said students are contractually obligated to go to the training program to which they were paired. If students previously interviewed at programs into which they eventually wouldn’t want to participate, he said staffers advise them to leave those programs off their Match program rank lists. Sutherell went through two Match days in his career: one for his residency and one for a subspecialty fellowship as a pediatric cardiologist. He remembers feeling extremely edgy and nervous leading up to opening those fated envelopes, then extremely relieved. SLU fourth-year School of Medicine graduate Emma Dwyer agreed that Match Day is an emotional roller coaster. She helped plan the campus’ Match Day event for roughly 800 attendees composed of the medical students, families, friends, faculty and mentors. She said the day begins with a breakfast, but turns into a long waiting game for the formal ceremony. “My envelope seemed like it was burning a hole in my lap because I was No. 80 among the 170 students receiving one. But we wait until the whole student body has received their envelopes to open any, which can take up to 45 minutes. I was shaky,” Dwyer recalled. She said she started with one envelope corner and nervously moved to the other corner, but ultimately ripped it open. Dwyer received her top requested program at the University of Chicago. “It’s such a privilege to be receiving our M.D. and looking toward the future of taking ownership with patients. Match Day is hard to put into words,” she said. Dwyer said the Match program has gotten increasingly stressful now that there are more graduating medical students than there are residency spots. “This is perhaps the most momentous milestone in medical school,” said Kathryn Diemer M.D., Washington University School of Medicine assistant dean for career counseling and a professor of medicine. She’s been in charge of Match Day at Washington University since 2000. She’s happy to be staying local with the SLU neurological surgery program. Quadri said she made her mom hold her envelope during the ceremony while other students were walking up to publicly do their reveals. “When it was time to open mine, I tried to do it carefully and you could hear me say in my family’s video, ‘I’m going to get a paper cut,’ but I gave up after halfway and ripped the rest open,” she said. Quadri said the palpable buzz of emotional excitement when everyone in the class opens their letters together is the best part of the day, but the waiting prompts anxiety and stress.